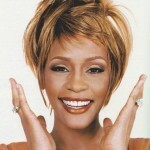 News of Whitney Houston’s death hit last night. Details have yet to be determined in how she died, but police now report no foul play. Anyone who has followed her career knows she has has some great moments where she was on top of the mountain and some low moments when it seemed as though she’d never get out of the ditch. Like most of us, I was shocked and disappointed. I am honest enough to admit my first two thoughts about how she died were: heart failure from years of drug use or an overdose. Based on Whitney Houston’s family background, I shouldn’t even be typing those words in relation to speculating on how she died. Like most people my age, I grew up listening to her sweet, soulful voice. This was before Mariah, Adele or Beyonce; before one-name singers were the “it girls.” She had a God-given voice that was instantly recognizable. She grew up in an extended family of singers. She had a megawatt smile and a stage presence that commanded your attention. Whitney Houston was beautiful and your parents approved of her music. As a teenager, it was all you really could ask. She was also a diva before the term was coined, but it wasn’t until much later in her life that she gave that title a bad name by having badly. While she certainly could have started her drug use before she ever met Bobby Brown, she deteriorated severely while they were married. Like many people, I wanted their marriage to last and for them to be happy together. I also wanted them to clean up their act so they could live healthy and revive their careers. By the end of her life, you could tell that Whitney’s voice was not the same. Years of drug use or smoking will do that to you. Instead of that clear voice hitting all the notes, her voice was gravelly, soft and missed some notes. Despite our occasional desire to be famous, it is not a status I would wish on anyone. I don’t want people commenting on my appearance, relationships or business decisions. And, now, star coverage is even more invasive than it was when Whitney was hot. She was raised in a practicing Christian family where faith clearly was part of her framework. But, instead of turning to her family or God to deal with the pressure of being in the spot light, she decided that drugs were the best way. Or perhaps being married to Bobby Brown, she thought, “If I can’t beat him, I will join him.” I know this is common in relationships where one person is either an alcoholic or drug user. Famous people dying is not new. It’s been a tough first six weeks of 2012 for those of us who grew up and came of age in the 1980s. When people our age die, it’s a not-so-subtle reminder that none of us live forever despite the action heroes we grew up with. But, as a gawky, overweight teenager, listening to Whitney Houston’s “The Greatest Love of All” she reminded me how important it was to love yourself. It’s an excellent reminder for us all — that learning to love yourself is the greatest love of all. I just wish Whitney Houston would have taken this to heart. If she had, she would not have endured a career collapse, rehab and she would still be with us.